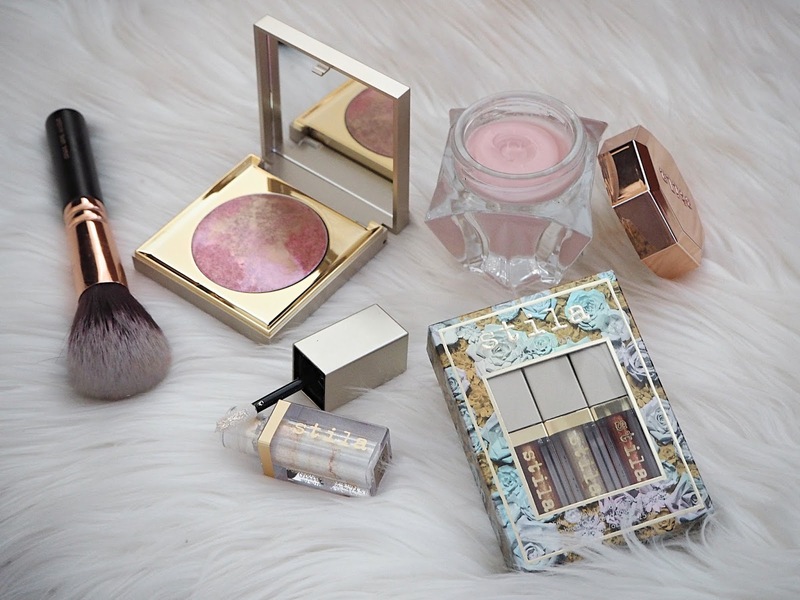 There are several things that are slightly unusual about me, especially as a beauty blogger. I've never watched a full episode of Made in Chelsea, the Only Way is Essex or Keeping Up With the Kardashians. I used to eat a large bar of Galaxy Cookie Crumble every single day. I also don't aspire to be a full-time blogger. I feel like when you have a blog it's assumed you'd like to be a full-time blogger or in the very least have some sort of a career in the fashion, beauty or marketing industries. Maybe I'm an exception but that's really not the case for me. Some people would love to be full-time bloggers and actively work towards it, some would do it if the opportunity presented itself but keep their options open and others just don't really see that for themselves. I think I fall squarely into the final category, though every blogger's goals, priorities, skills, personalities and circumstances contribute to where we fit in. I can definitely see why so many full-time bloggers and YouTubers end up moving a little bit away from beauty over time. Don't get me wrong, I LOVE beauty but a lot of my spare time is taken up by it, so I can't really imagine my career being based around it too! I like that I explore a huge variety of interests and topics through my career. I definitely think blogging utilises a huge array of skills but the scope of things I've learnt about after a year or so in the workplace has been staggering and that's how I like it. I know 'corporate' is a bit of a pejorative but there are a lot of aspects about the corporate environment that seem to suit me well. I like going out to work. I like moving around the country for meetings and workshops. I like having a training framework with a clear progression for my career. I like working amongst a diverse range of people every day, learning how to collaborate and gaining experience. I like expanding my technical knowledge and developing my negotiation skills. I like the reassurance of a steady, guaranteed income. I like even just getting out of the house every day! I may moan about early mornings and mountains of emails but when it comes down to it, I get restless even on a weekend if I spend all day indoors! Following on from that, I just see my career taking place as a progression within a company, gaining knowledge and experience through years of work. I couldn't really imagine working for myself at this age and I don't think I'd be comfortable with the uncertainty of not knowing what I'll be earning month-on-month or not really knowing how to progress my career. Also I guess there's the uncertainty of whether it could be your long-term career or not; if it would still hold your interest in 20 years time or if there'd even be a market for it (not that you have to stay in the same job for 20 years, but still!) I guess these are all equally applicable to running a business or being self-employed in any capacity though! I may have just got a load of "makeup goals", *heart eye emoji*, "I love your photos" comments on my latest Instagram post but I uploaded it whilst squished against a luggage rack on the commuter train I had to shove my way onto... Without taking anything whatsoever away from the work that goes into blogging (trust me, I fully appreciate that!) I do find it incredible to see some of the big vloggers complain about how hard it is to produce two 5-minute videos a week when it's their full-time job and how difficult it is to wake up before 9am once in a blue moon. Yes, a lot of creativity, skill and hours of work go into producing those videos but the way some people go on you'd think they were being worked like Junior Doctors... They're very fortunate to be in their position and work for themselves largely to their own schedule (all pros of full-time blogging or vlogging) so I think a little gratitude and perspective wouldn't go amiss. Particularly when many bloggers are working other (often quite demanding) full-time jobs whilst putting out regular, high-quality content. Blogging is the fun thing I do to relax once I come in from work and I never want to have to force creativity or feel like I have to do it. I also think it would also be really hard for me to 'analyse' myself and have things like number of followers be one of the measures of my career performance. I'm not that comfortable with sharing my personal life online either and whether it's comments accusing them of having plastic surgery or criticising their romantic relationships, the 'big' bloggers and YouTubers are under a lot of scrutiny. Do you want to be a full-time blogger? Why/why not? I couldn't agree more! Moan to your hearts content, just not online for all your subscribers to see! Nurses, doctors, lawyers, engineers, accountants... they're all out there working long, hard days, and that's after they've put themselves through university! I'm the same as you Jasmine. Lots of the points you made are why I couldn't and wouldn't want to be a blogger as a career. I like to know where I stand and you just wouldn't get that as a full time blogger. 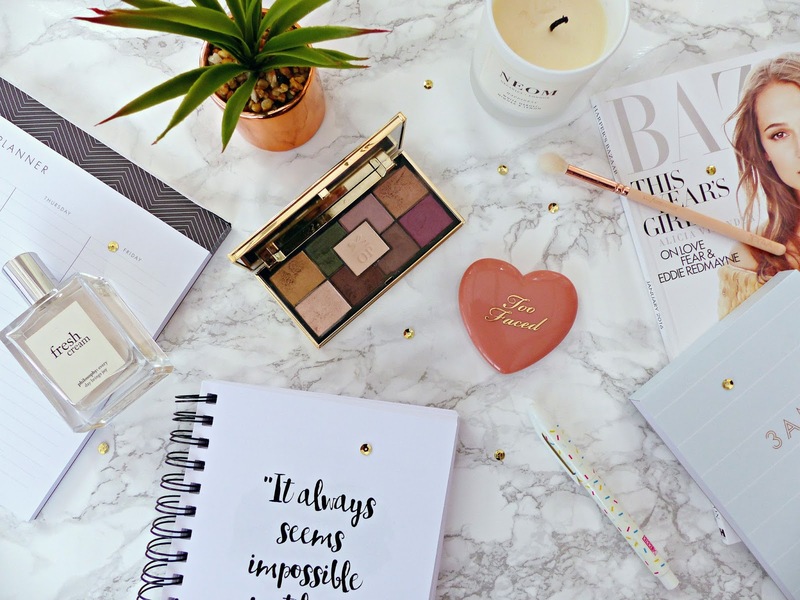 Blogging is my little escape and hopefully, that's how it will stay! I'm going to be the one to disagree. I do want blogging to become my full time job. I'm really working hard to be able to make money from my blog/brand in the future, that's my dream. But I love how you KNOW for yourself what you want out of it, it's so good to see different goals and different expectations from bloggers. Thank you for sharing your side of the story! I have to say that if I had the opportunity to earn money from blogging I would do it as it would fit great around my commitments and life with two small children (I've been stay-at-home mum for a few years). Also for different reasons, I can't see me continuing my career as a chemistry teacher and I'm actually thinking of changing a career and because beauty is my great passion I think I would be happy doing it and earning money. But I totally understand your point. You're very young, you recently graduated, you have your ambitions and plans, job that you're passionate about so it would be probably silly to give it all up for very uncertain career. Yessssss. All of the props to you for writing this, Jasmine. I feel exactly the same. I love to write and I would be happy if my blog earned me a little money, but I don't want to take it full-time. I have career prospects and interests outside of this. It is a hobby and a way to hone my writing skills, for me. I do love blogs and bloggers but seeing people who do it full-time whine about it does get my back up at times! Loved the point about the comparison to junior doctors, that really does put everything into perspective and a lot of people, myself included, forget that. Great post, i believe if it was a full time job it would take the fun out of it, now you see it as fun and creative. I also believe that blogging is educational, thats why i started to do it, its a challenge as ive just stared, something new. 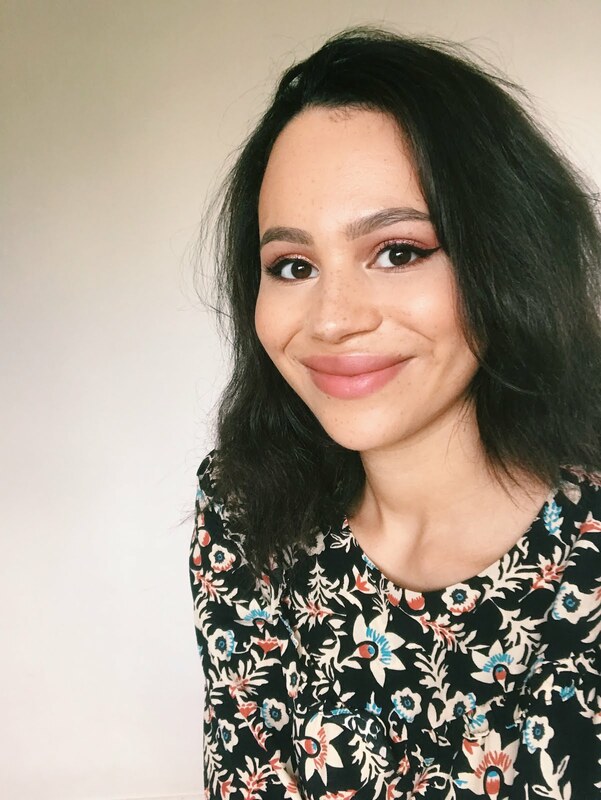 I think it's great that you know exactly what you want Jasmine and it never ceases to amaze me how creatively and consistently you blog despite working full time. It may be something you do for fun, but you're very committed. I've already gone as far as I wanted to in my career (in PR) and spent years climbing that ladder and working under intense pressure for agencies, in-house and on a freelance basis. I now have two young children and it suits me to work from home, blogging and writing full time. I love what I do and feel very lucky to be able to do it. There are times that I've had to take a step back because of other things going on in my life, which I'd rather do than pumping out content just for the sake of it. I think that being true to ourselves, our own goals and dreams is the most important thing. If I am completely honest, I'm not 100% sure whether I would like to do it full time or not. I have a degree in Journalism that I couldn't use because I moved to the UK as soon as I graduated and English was (and still is! )my second language. So there is an aspect of blogging and communicating that I love as a profession. However, there is the steady income, which I need because I own a house on my own, and something you mentioned which is the opportunity to develop, grow and progress within a company. Finally, my full time job is in an international development charity and knowing that the long hours and the effort help those in poverty is hugely motivating and feels more real and meaningful. I can see myself doing a blend of the two in the future if I manage to monetise my blog at some point. I totally agree – I find blogging a fun pastime. I think if it was to be a full-time job, it would take the enjoyment out of it. So interesting to hear that you don't want to be one and that it's only your hobbie! The part about real life is so true, I hate it when famous/big youtubers/blogger complain because really other people would love to do what they're doing! I wholeheartedly agree with this. While my job IS centered around the beauty industry, and I'm a beauty blogger, that is not my whole life. If I could make money from my blog, that would be awesome, but I don't blog because I think I'll make money from it. I couldn't imagine my entire life being my blog, I get irritated when it just takes up too much of my week. Props to people that CAN do it, and want to do it, but I'm just not in it. I really loved this post! For me blogging is just a hobby, it has helped me alot since an accident i had where i haven't been mobile for nearly two years and it has kept my mind busy. I also enjoy drawing alot, i don't think i could ever do blogging full time. Well said! I couldn't do full time blogging although I would love the lie ins, I just don't have enough ideas to keep me going haha. Really beginning to despise my full time job so I need to have a think about what direction I want to go in and blogging (both writing and reading) is a great release for me! Never get why the big bloggers/vloggers whinge to their viewers either, keep it for nearest and dearest! YES! This topic has actually been on my mind for a while now, mainly when my love of youtube disappeared. I got so fed up of listening to people complain about their life and how much of it was online, how hard it was to be "youtube famous" I was just done with it. If they were truly unhappy they would delete their account and just STOP. No one is forcing them, but they stay for the income, for the attention, and it isn't fun to watch/see. I can definitely agree with the last one, although if one day opportunity will come by, I'll definitely grab the chance to make this my career! I've always had my music stuff as a hobby as well. That being said, I'd still love it if one day I could make a career out of my music and have the blog as a fun hobby aside! With so many bloggers announcing they are blogging 'full-time' it does sometimes make me feel like I'm doing things wrong. I keep reading all these posts about how I have to create a product to sell to make my blog a business...and that doesn't appeal to me (right now anyway). And yes, blogging is my fun hobby. Once it feels like work, then I lose the passion for it and I don't want to do it anymore. I've taken a few breaks from my book blog over the last 4 years because of this reason. I need it to stay fun. I've been a stay at home mom the last two years and lately I've been really missing the 'work' environment of having an actual place to work and interacting with other adults. When I used to work full time, I still found time to help my kids with homework, cook clean and blogging at night was my 'unwind' time. And OMG, I can't stand all those youtubers complain about how they have to edit a video or how long it takes to upload. It's like, sorry is it taking time away from your sleeping/watching tv/shopping time??? Be thankful that you can ever do this. What a great post! May I ask where is your background from? I agree completely! Many people have made a career in blogging and while I really enjoy it, I'm working towards having a different job that is much more stable and (personally) I think it would be a lot more rewarding. Plus, I think if blogging turned into work I wouldn't enjoy it as much. I laughed out loud at your point about vloggers moaning about being sooooooooooo busy when they only put out 2 videos a week - when I'm watching youtube & comments like that are made & the vloggers are only getting up at 10/11 etc, if my husband is in the room & hears it, he laughs & can't understand why they're moaning! It's like they are out of touch with reality! It does make me laugh! I absolutely agree with this post. I wouldn't mind being a full time blogger as I enjoy the informality of it but I've seen how lonely it can be working from home first hand, no matter what career path you choose. I do also think bigger bloggers become out of sync with reality after a while because let’s face it, they can work about 4-6 hours a week uploading one video or blog post and get paid £2,000. They don’t feel the need to put the effort in anymore because it’s just so easy for them, which is a shame. This was an amazing post! I love having makeup and blogging as my hobby, an interest on the side. But as for my actual career, it's nice to spread myself to other areas and experience different things throughout my day! Love this post! I agree with everything you say! I like to blog as an outtake to my normal routine and when I graduate it will be for the same reason. I can imagine it being quite lonely actually and I hate my own company. What a fantastic and honest post. I definitely agree that for some people blogging is their fun hobby that they come home to after work, and that pressure of wanting it to be a full time gig can take the fun out of it. I too have a wide variety of interests, which is why I specifically made my blog beauty and lifestyle earlier on to set my reader's expectations - as I honestly do want to make it full time one day, I like knowing that I can share all my passions as well as makeup :) I think it's awesome that you're so in touch with yourself and what you want! This is such an interesting post! I totally agree with your about blogging being your fun thing, for me it's a nice way to chill out and forget about everything else that's going on so for it to be a job I wonder if it takes away the fun! I completely agree with this, I don't want to be a full time blogger! I am a fourth year medical student and am just way too sciency to only have a creative based job, I think. Plus, I agree, having a clear career outline is very satisfying. I love that blogging is just my "fun" thing and I never really have to force it; if I dont wanna, I don't hafta! Perfect set up! I thoroughly enjoyed this post, Jasmine! You are so right with all those reasons why blogging is not in the books for many as a full-time gig. While some crave blogging as a career more than anything, others know how to look past it and actually want to enjoy A) their "real life" and B) blogging as a hobby and passion. It's a great topic to explore and it was lovely to read this well-written post, hon. This was such a interesting post to read. I definitely love hearing about people's opinion and thoughts on blogging as a career. I definitely want to make something come out of blogging but i do see myself needing something else, still in the realm of the beauty industry but something that would get me out of the house. Very honest and well written. I can tell how much thought you put into this post! I really admire this! I loved reading this post as it's something that gives me a lot of pause for thought recently and as you say, not withstanding the effort that full time bloggers put in I think they sometimes forget what it's like in the real world. I enjoy my job 99% of the time and love the structure and reason to get up in the morning. I love the office banter, the work, the achievements and the pleasures that come with that. Sitting in my pjs on my laptop sounds great, as does being surrounded by make up but when I think about it I'm sure the novelty would wear off. It does grate on me sometimes though when you hear about the 'full timers' saying 'I'm treating myself to an early night' or 'I'm having the weekend off' or similar statements when I think I work '9-5' in a day job and in amongst that I'm doing all the blogging things and weekends are spent photographing and writing content etc. Of course it suits me, its my hobby and I love it but there is a lot of eye rolling when you hear some of the things people come out with. Brilliant post! I love doing a bit of blogging, but like you, it's my fun thing, I have a job, a kid, a man, a house and all that needs to come first. I love blogging as a little outlet and I think I get as much, if not more enjoyment from reading blogs. Good luck to those who make a career out of it, I'm not disciplined enough to work for myself if I'm truly honest lols. A very nicely written post. The most important aspect of having a blog is that you enjoy it, and if it's your fun thing and a method of displaying your enjoyments on-line, you have every right to keep it that way. A blog is no longer fun if it becomes a chore. You have many ambitions and that's a wonderful thing. I totally agree with you! I wouldn't want to be a full-time blogger too! I see it as a hobby and not as something I would want my job to be in the future! I have no plans to monetize my blog or become a full time blogger. I already have a career and blogging is a really interesting hobby that I do in my spare time. I have to say your blog looks much more professional than mine and is just as good as the high profile, professional bloggers. I am exactly the same! I've only recently started blogging, but my main interest to start is my passion for beauty and hair and also as a student that studies marketing, a blog would surely help me on the path I do want to take. But being a full time blogger is very time consuming, I want to do something that I worked hard for in my degree, blogging is a hobby for me ! I loved to read your post. But while I was reading it, and all your good reasons, I was also thinking, you are still young, and that's normal that you don't know yet what's the purpose of your life. I'm 32, and I also feel super young, but I already have 10 years experiences in company, working at my desk, 8 to 5, and what I want now, for the 20 years coming, is to work for myself. I think blog is a great opportunity to build your dream, like making a collection, or being a writer. A few month ago, I made a great "entrepreneur week end" and somebody said "If you don't build your dream, someone will hire you to build his dreams". That quote "shake" me, and "shake" the way I wanted to spend the rest of my life. Working for my dream ? Or working for the dream of somebody else ? Great post, it was refreshing to read about someone who does'nt want to be a blogger-pro. This is such a great post lovely, I am the same I’ve never watched MIC nor TOWIE haha. I agree I find blogging my fun hobbie outside work and I think as soon as it becomes work that’s when it can lose the fun factor. Such a great post! I agree, the pressure to consistently produce high quality content and not fall back on views, for the sake of a steady income would definitely get too much for me! Personally I'd love to earn some money on the side from blogging if my views increased, not anything serious but a little extra income never hurts (especially when one is still a student). However my passion for teaching and working with children does override my love for beauty and I really enjoy having this as a hobby and nothing that causes much extra pressure!